I fell in love with the idea of grammatical poetry when I saw it. It turns out fun and silly poem and gives kids a painless, quick review of grammar! 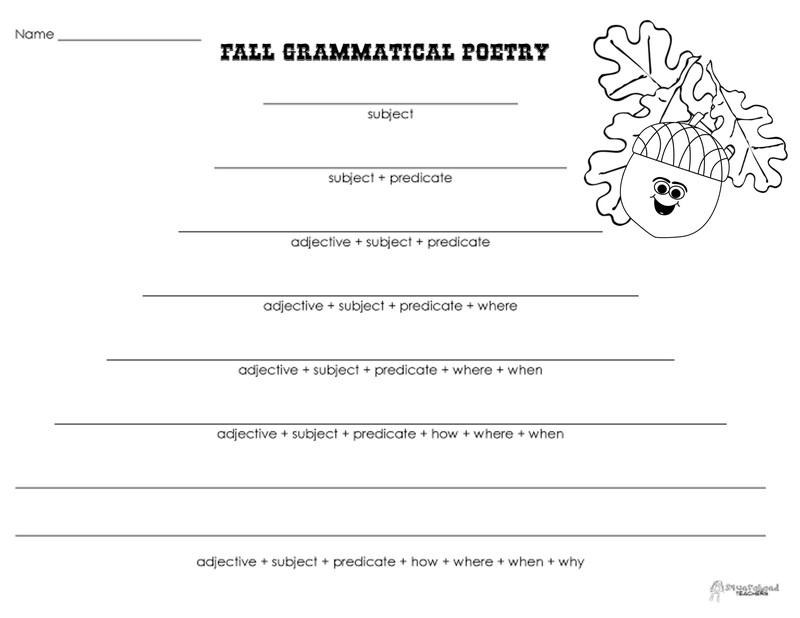 Here’s a free printable template for fall grammatical poetry. Click here for the Grammatical Poetry- fall. Enjoy! This entry was posted in Grammar, Halloween, Poetry, Thanksgiving/Fall and tagged Children, Education, Elementary School, Grammar, Homeschool, Kids, language arts, Poetry, Teacher Resources, Teachers, Teaching by Squarehead Teachers. Bookmark the permalink.